DJ Lloyd has become an iconic figure on the Johannesburg party scene. Instantly recognizable through his vibey signature sound, whether its on or off the dance floor, Lloyd was born to entertain. DJ Lloyd has certainly made his mark in the dance music industry. Being based in Johannesburg, his success and determination always show in his DJ sets. He has played at some of the biggest and best clubs/festivals in South Africa. He has been DJing since 1999 and has held residencies at many clubs mostly in Johannesburg. 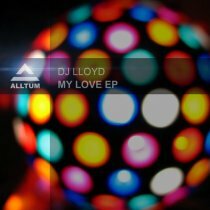 DJ Lloyd is not a stranger any more to the Above All Family with several releases, collabs and remixes allready released, now It’s time for a fresh new EP with 4 different tracks from his side. It shows the diversity of him as producer but also what you can expect from him when he plays a DJ set. Be sure to check this EP out, with 3 melodic tracks but also the darker an deeper track Sider which will suprise you!